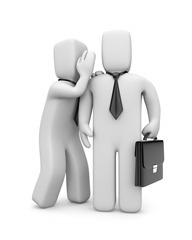 Employees telling secrets online was the subject of yesterday’s post, Keeping Secrets on Social Media. Today’s post–a continuation of the theme from yesterday–is about “auto-expire” apps. An “auto-expire” app is an app that enables users to set an automatic expiration date and time for social-media or other online content. There are lots of reasons one would use an auto-expire app but the three that come immediately to mind are regret, efficiency, and secrecy. Social-media regret is nothing new. Just last summer, I wrote a post about social-media regret syndrome. Auto-expire apps like Xpire, for example, allow users to set expiring posts for Facebook, Twitter, and Tumbler. Efficiency also is a reason to consider these apps. You don’t need to keep (or have others keep) the series of text messages exchanged about where to meet for lunch. But secrecy, in my opinion, is the most prominent reason for the increased interest in these auto-expire apps. In the employment context, there may be security reasons for having highly confidential discussions automatically deleted forever. Apps like Wickr (branded as “a top-secret messenger), are targeted to businesses for exactly that reason. Wickr advertises that messages sent through the app contain no geolocation data and are not tracked or monitored–what’s yours is yours and cannot be accessed by the host site. Be careful, though, about what you send through these apps–people are often surprised by the utility of having access to evidence in the form of contemporaneous posts and conversations. But, for certain exchanges, you can imagine the equally powerful utility of having an untraceable and permanently deleted line of communications. This entry was posted in Social Media in the Workplace. Bookmark the permalink.